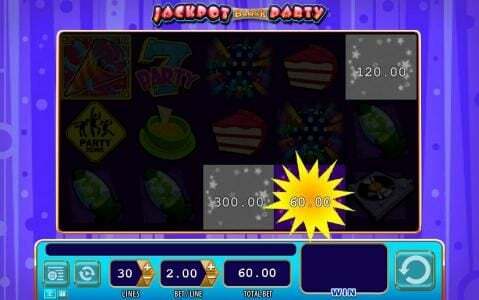 Jackpot Block Party online slot machine pictures and slot feature list from WMS, play Jackpot Block Party Slots for free. 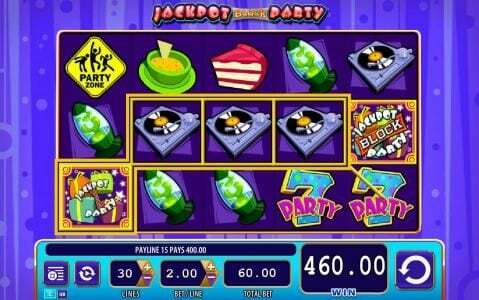 Jackpot Block Party Slots has not been reviewed yet, be the first to rate this slot. 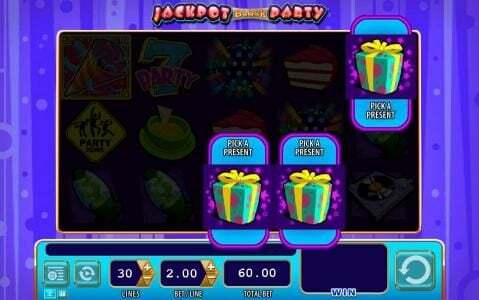 With Jackpot Block Party you will find that you’re getting a typical modern Slot that offers you 5 reels with 30 lines. wms added inside a rather small top payout of $225, with multiple feature icons and with a wild symbol. In this game the designers went for the party theme, in this case one that was part of the 70’s or 80’s, with disco balls, lava lamps and record players all used to show that some people are having a great time. The design itself doesn’t look that great, a reminder of what the graphics looked like in the 80’s. Symbols include game logos, presents, 7 Party, record players, disco balls, lava lamps, cake, dip and the Party Zone sign. The betting system is as easy as it gets. All the player has to do is click on the amount he wants to be with. The lines are all selected, so the coin value is the one that changes in each case. It starts at $0.30 for 30 lines ($0.01 per line) and the options continue up to the $4.50 for 30 lines ($0.15 per line). The 1500x top payout means up to $225 for the player if he gets the right combination. 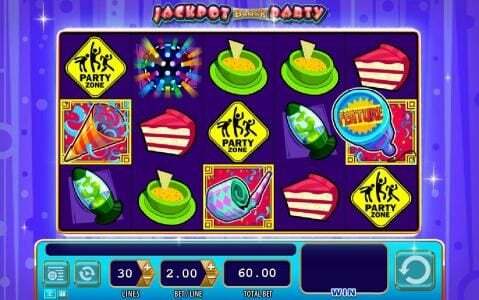 The top prize is won with the help of the Jackpot Block logo, as long as it occupies all five positions of a payline. 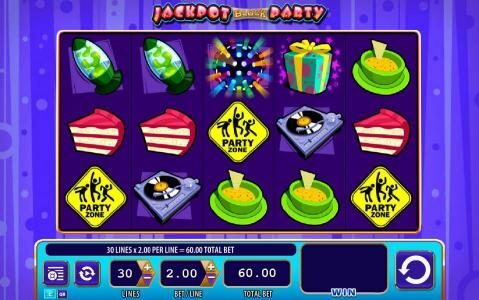 The payout is 1500x the value of the line bet. The same logo acts as the wild symbol in this game, capable of substituting for any other regular symbol (meaning it can’t do that for one of the three feature icons). If you get a minimum of three symbols with a present on them, you get the bonus game where you have to make a choice. 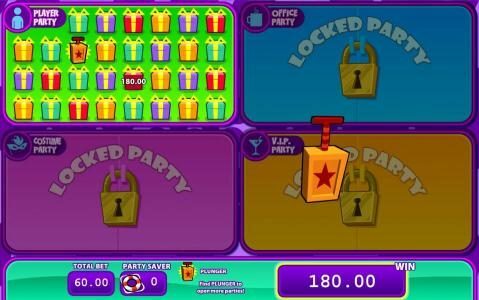 You select a present shown on the screen and you find out how much you’ve won. 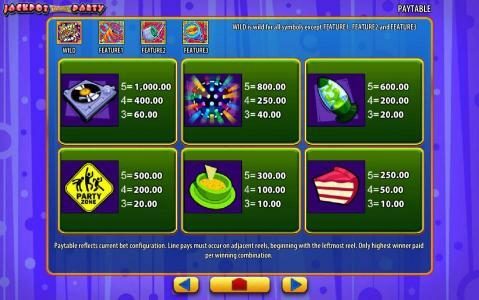 Another bonus game will also use scatter bonus icons and three are needed to trigger it. You once again choose presents, this time from the area with the Players Party. 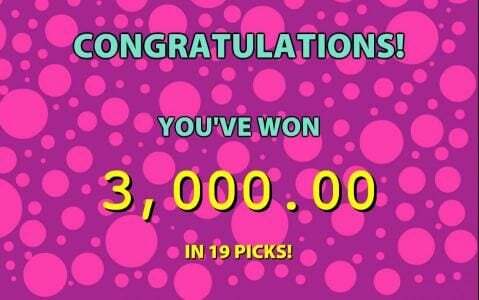 You get a payout this way and hopefully you also gain access to the next level of the Bonus game. Each additional players zone that is opened to you will mean more chances for prizes and more fun to be had. This is a cute game for the most part, but its graphics don’t make it that easy to like. You do get some decent features once you’re inside, so that can be a point in its favor.